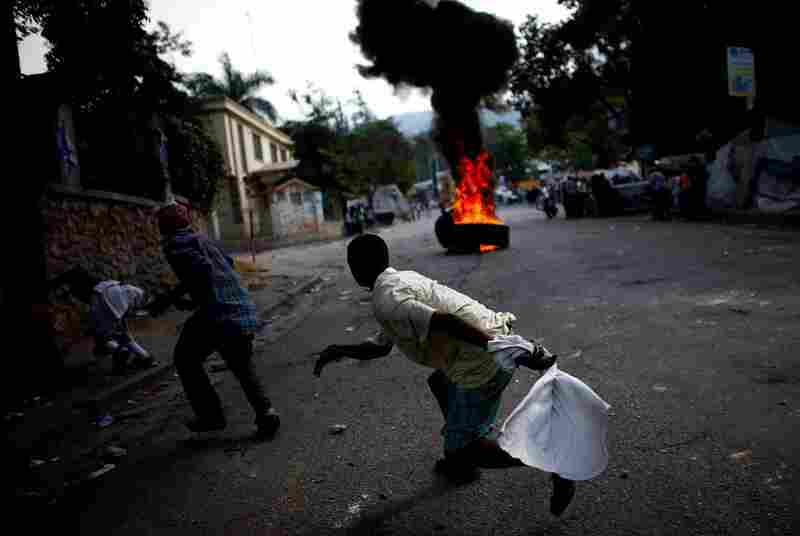 In Haiti, Political Impasse Compounds Uncertainty The earthquake-ravaged nation was rocked this week by political protests, as riots paralyzed the capital, Port-au-Prince, and forced election officials to announce a recount of the controversial presidential polls. 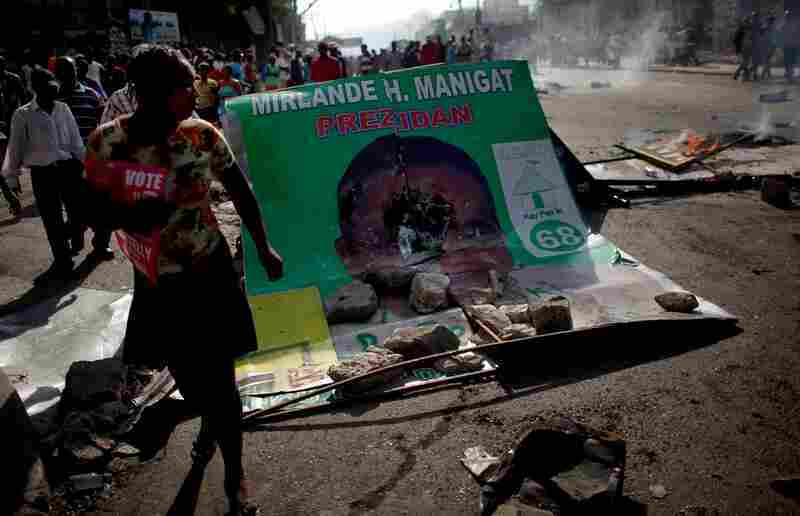 Supporters of candidate Michel Martelly vow that they are not going to give up until he is sworn into office. 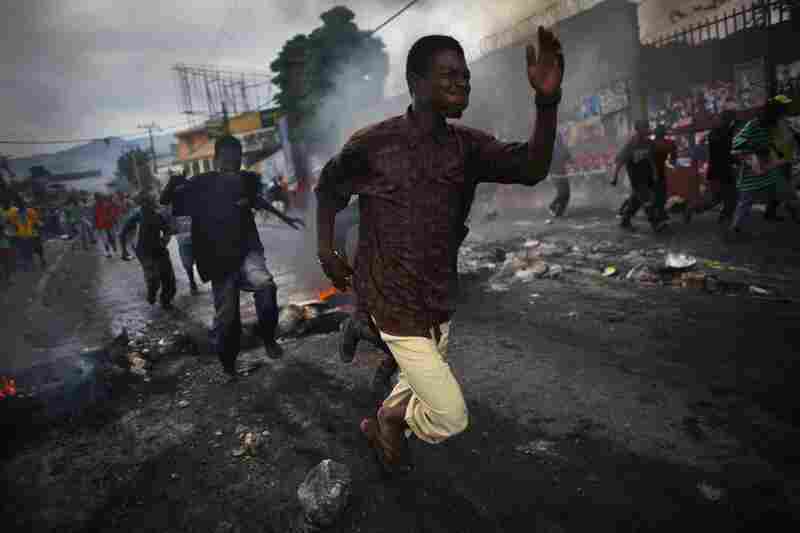 The earthquake-ravaged nation of Haiti was rocked this week by political protests, as riots paralyzed the capital, Port-au-Prince, and forced election officials to announce a recount of the controversial presidential polls. 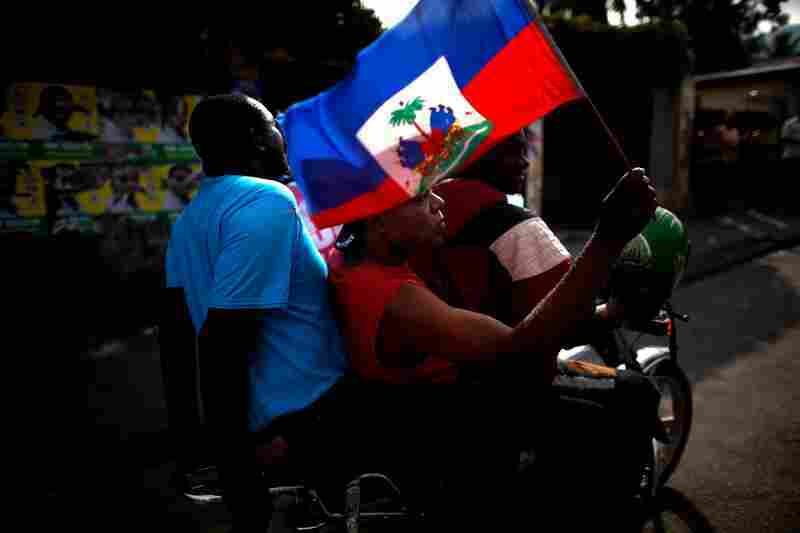 Tens of thousands of supporters of presidential candidate Michel Martelly streamed through the streets of the capital. 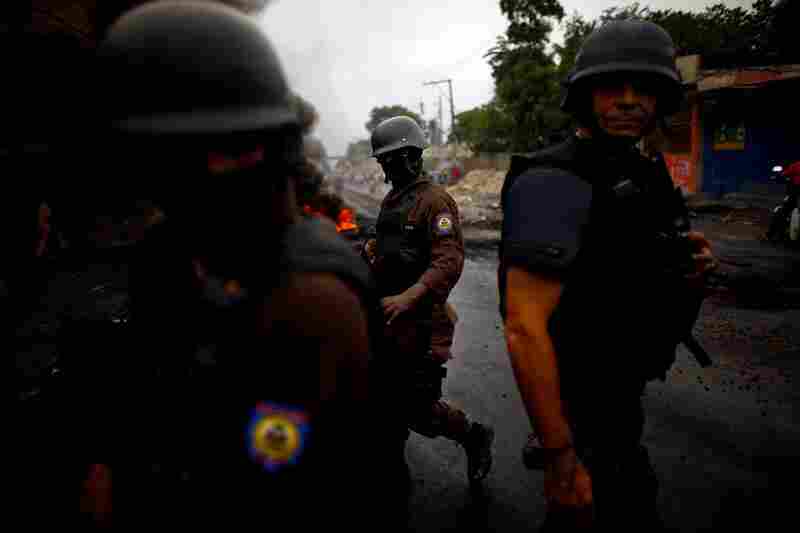 The riots started minutes after the electoral commission announced Tuesday that Martelly had been eliminated from the second round of the election by a few thousand votes. 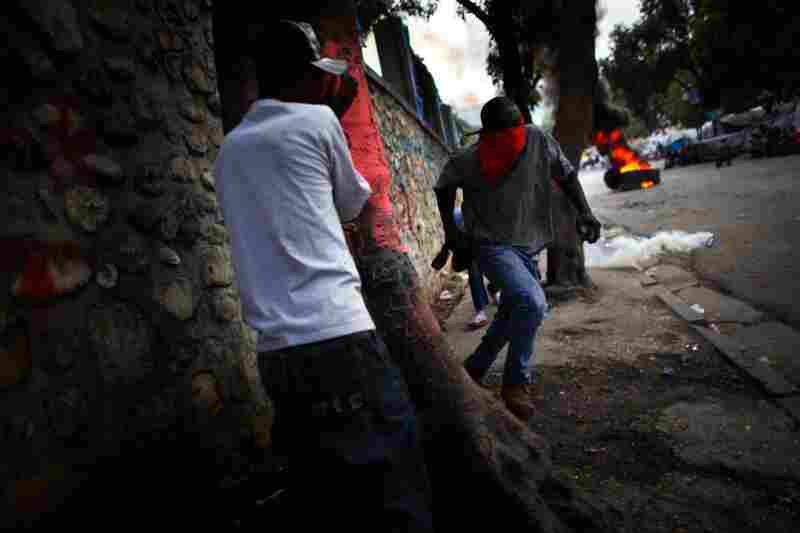 Young men barricaded the streets with dumpsters, earthquake debris and burning tires. The protests went on for two days straight. "If we don't get Martelly, I'm the rock that will crush you," said Grace-Adieu Pierre, a Martelly supporter. "We are going to tear this country down." 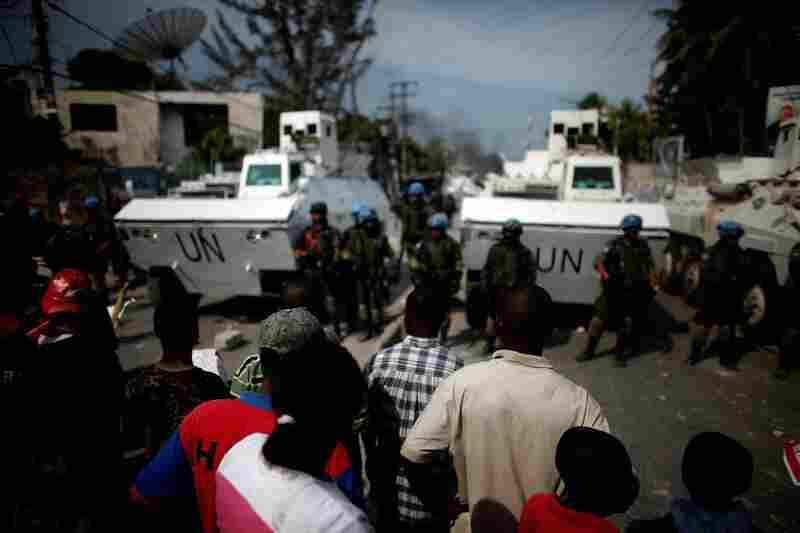 Many of the demonstrations were peaceful, but in others, Martelly supporters clashed with U.N. peacekeepers and Haitian police. Cars, trucks and ambulances were unable to move through the streets. On Nov. 28, while the polls were still open, Martelly and 11 of the other presidential candidates called for the election to be annulled. They said there was "massive fraud" at the polls and accused the ruling INITE party of rigging the balloting to favor its own candidate, Jude Celestin. In a taped statement on national television, Celestin said the voting was fair and blasted the Martelly supporters in the streets as irresponsible. 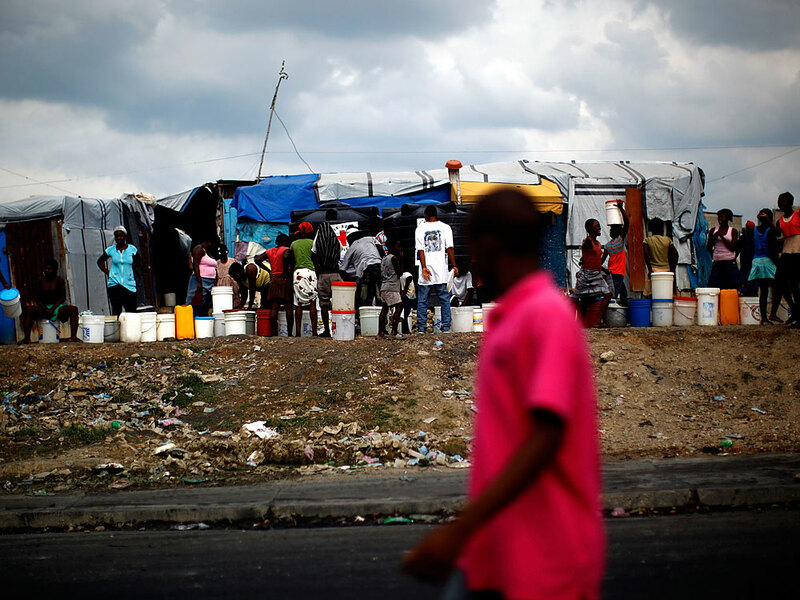 "Without any consideration for those who are living day to day or who are affected by cholera or who can't send their kids to school, these protests make everyone poorer," Celestin said. Celestin called on his own supporters to mobilize across the country. 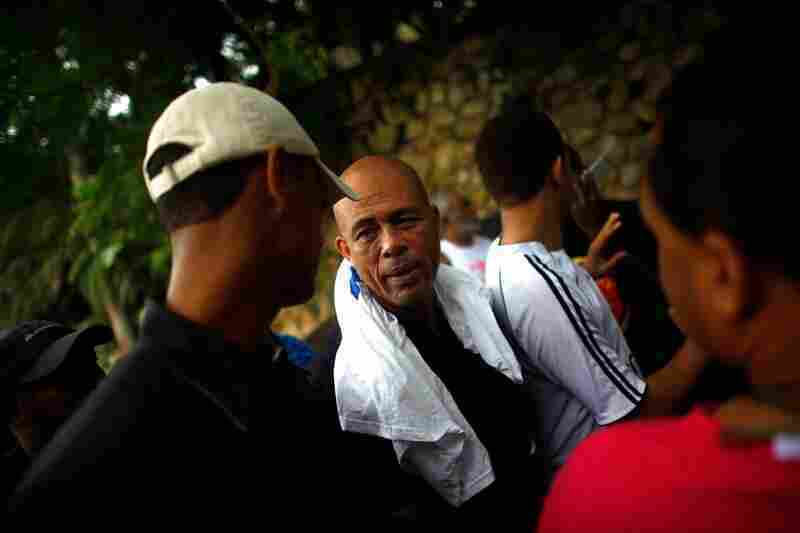 Martelly didn't have to call on his followers to mobilize. 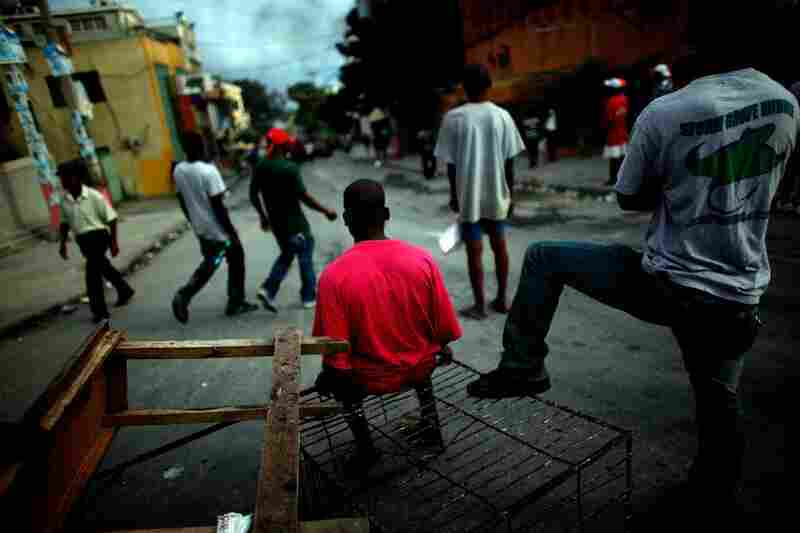 On Thursday, hundreds of them, cheering wildly, showed up outside his house in the leafy Port-au-Prince suburb of Peguy Ville. Martelly came out briefly to wave and bump knuckles with a few of them. Camp residents stand in line at a water distribution site at the old military airport in Port-au-Prince, Haiti, on Friday. Martelly is a popular Haitian musician known also as Sweet Micky. He had a reputation for being a wild man on stage, at times stripping naked or wearing a diaper. But his political campaign is polished and professionally orchestrated. As Martelly's security detail shuffled him back into his house, one of his political advisers, Daniel Supplice, lingered outside. 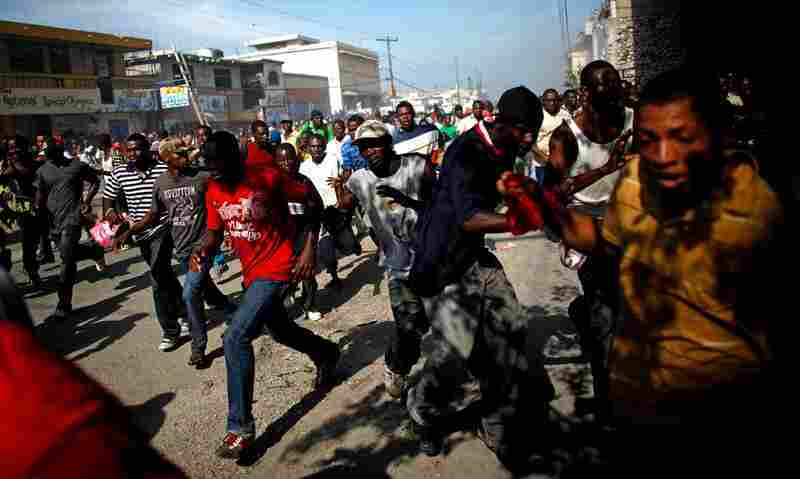 Supplice says the unrest in the streets is an organic uprising among Haitians who believe their votes were stolen. "It's a general situation. 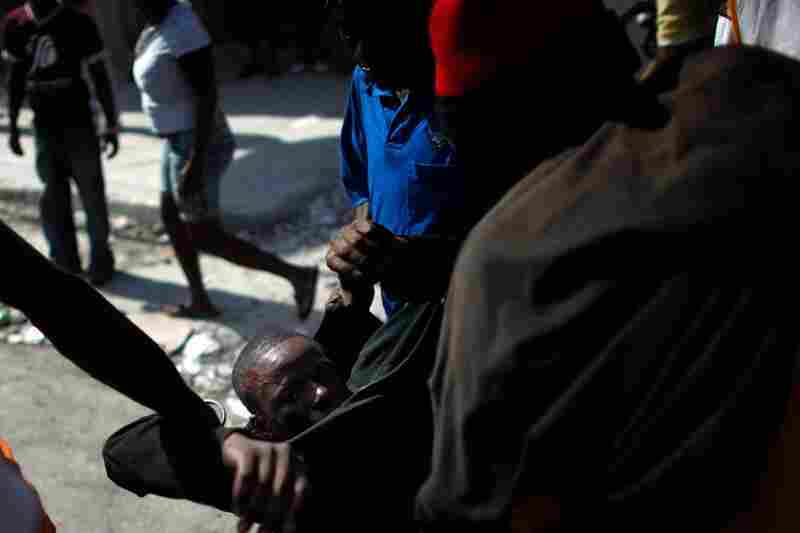 It's not only in Port-au-Prince," he said. 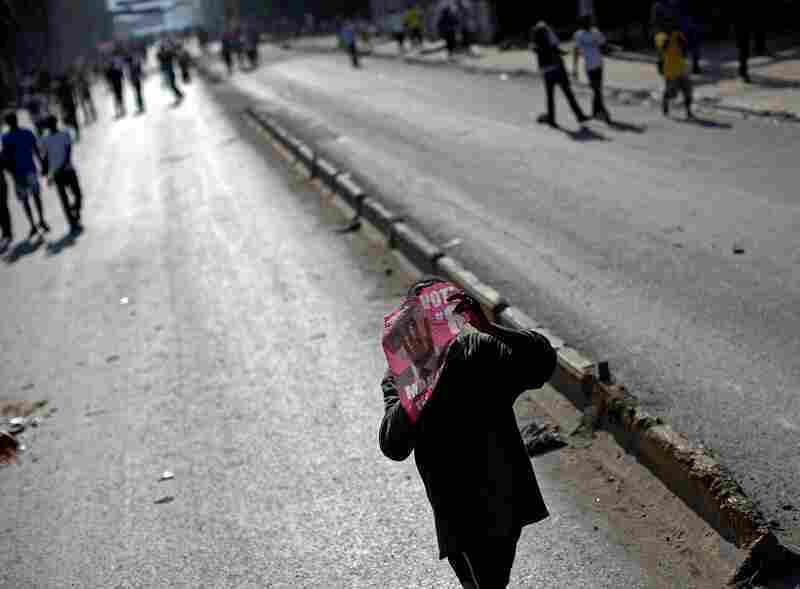 "All over, in other cities, they have troubles. "It's much more than a question of election. People are attacking public places. There's a total situation where people believe the government, the actual government, isn't doing the right thing." 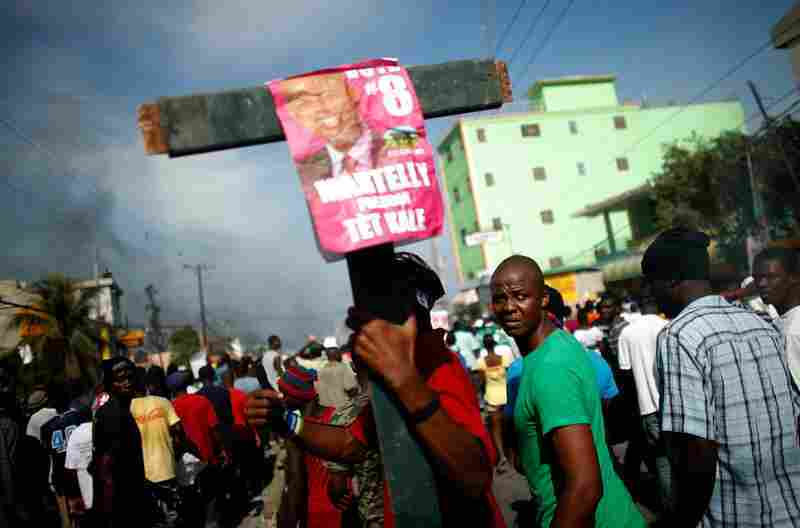 The Martelly campaign had 72 hours to submit its legal challenge. Supplice conceded that logistically this was going to be difficult because, aside from the Electoral Council that was protected by U.N. troops, government offices have been unable to open since Tuesday. Almost all businesses remained shut Friday. 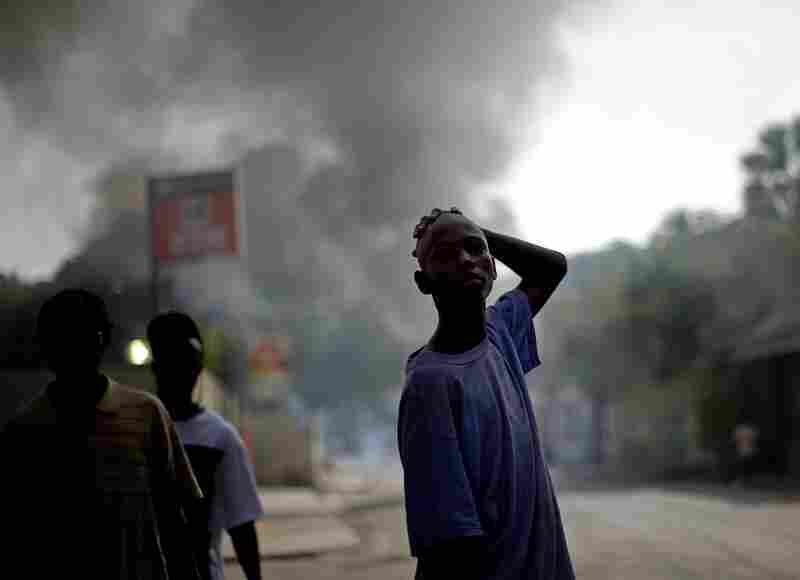 Aid agencies say the civil unrest was disastrous in light of the cholera epidemic. With the streets blocked, people couldn't even get to health clinics. Sarah Ashraf, the coordinator of Save the Children's cholera programs in the country, says one huge problem is that water trucks were unable to make deliveries. 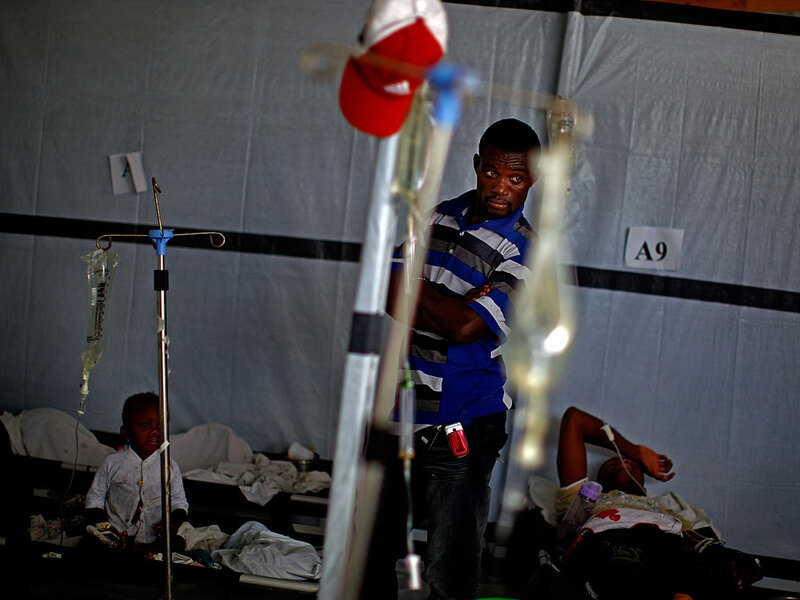 Ashraf says the cholera treatment units were running out of water, body bags and other supplies. 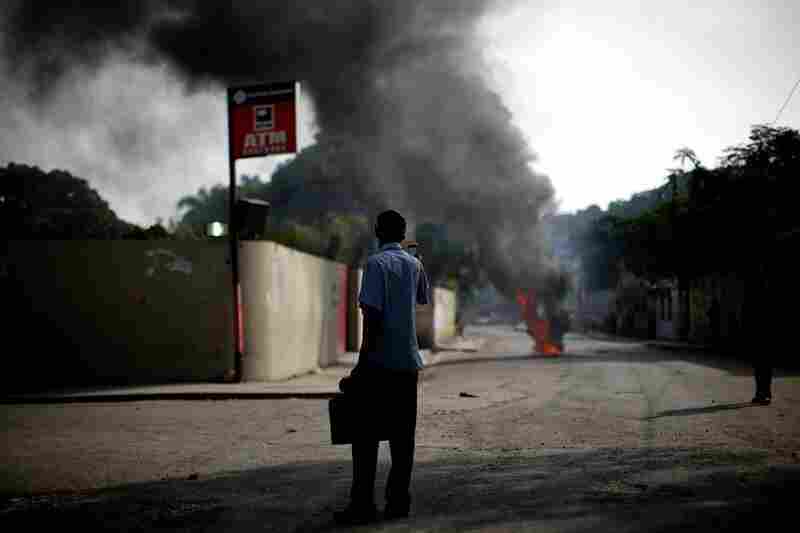 Several ambulances that take away corpses were attacked Thursday. "So the ambulances that do go to the CTUs to pick up dead bodies, they cannot cross the roads, the blockades to get there," Ashraf said. 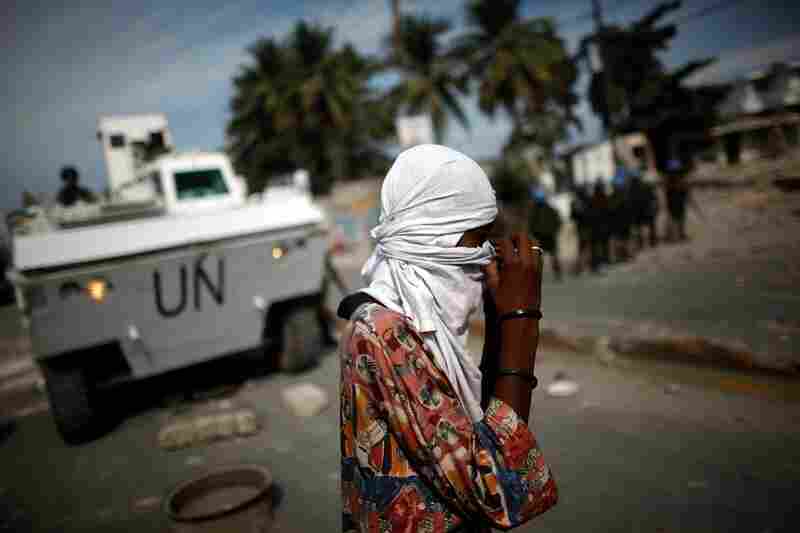 "So if there are deaths, the bodies are going to be kept at the CTUs, which is not OK."
Water trucks started moving through Port-au-Prince again Friday, but people were so desperate for water that they hijacked one tanker from the aid group Concern Worldwide. The political protests appear to be subsiding. The bigger issue is that the presidential election remains unresolved. 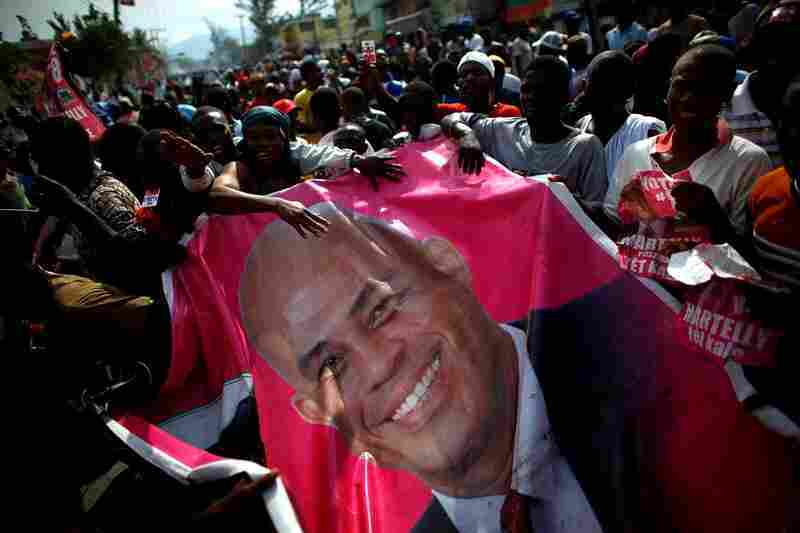 Martelly and his supporters vow that they are not going to give up until Sweet Micky is sworn into office.